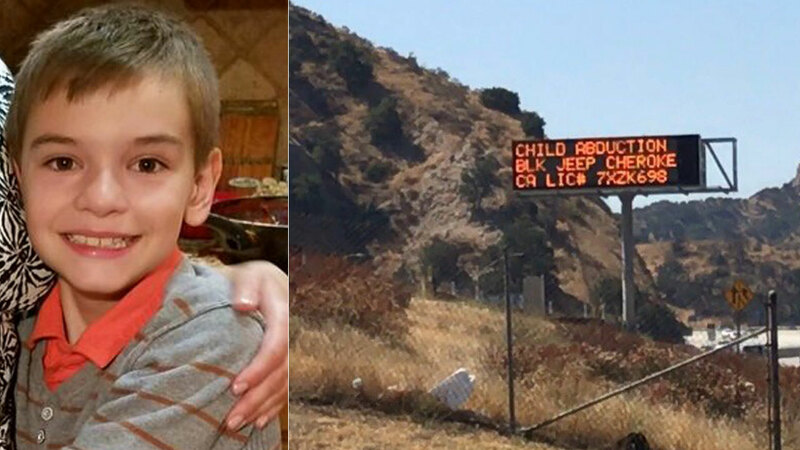 Daniel Morozov, 9, who was abducted in Santa Maria on Monday, Aug. 21, 2017, prompting an Amber Alert from police in Los Angeles, Ventura and Santa Barbara counties. SANTA MARIA, Calif. -- A 9-year-old Santa Maria boy who was suspected of being abducted by his father has been found safe, the California Highway Patrol said Tuesday. Around midnight, an Amber Alert was issued in Los Angeles, Ventura and Santa Barbara counties. The Santa Maria Police Department said Daniel Morozov was believed to be taken by his father, 48-year-old Konstantin Morozov shortly before 9 p.m. Monday. Police had responded to a fatal shooting in the 200 block of N. College Drive in Santa Maria and found a person dead. As a result of an investigation at that scene, the Amber Alert was issued, according to Santa Maria police. Authorities said that Morozov is a suspect in the death of the 9-year-old's mother. The suspect was last seen driving a blue 2015 Volkswagen Golf hatchback, police said. It was later found abandoned in Santa Maria. A new alert issued at about 11:45 a.m. said the suspect and the boy were believed to be in a 2017 black Jeep Cherokee. That vehicle was later found abandoned in Santa Barbara, according to police. Around 6:45 p.m., authorities were involved in an officer-involved shooting with a murder suspect in the 5500 block of Lindley Avenue. The suspect, who authorities believe is Konstantin Morozov, was struck by gunfire and taken to a hospital. He succumbed to his injuries, police said. Konstantin Morozov, 48, is shown in a photo alongside the scene of an officer-involved shooting in Tarzana on Tuesday, Aug. 22, 2017. The Amber Alert was deactivated shortly before 8 p.m. when authorities said the child was found safe.